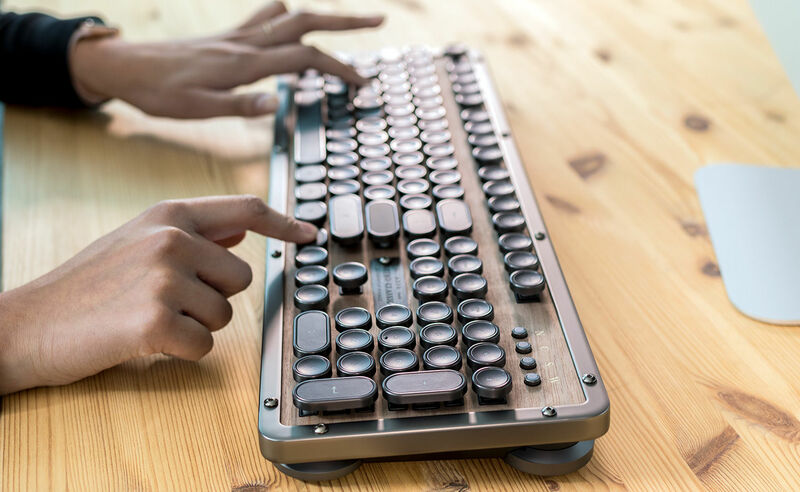 This vintage-typewriter-style keyboard is the most beautifully designed we've ever seen – but is it usable? 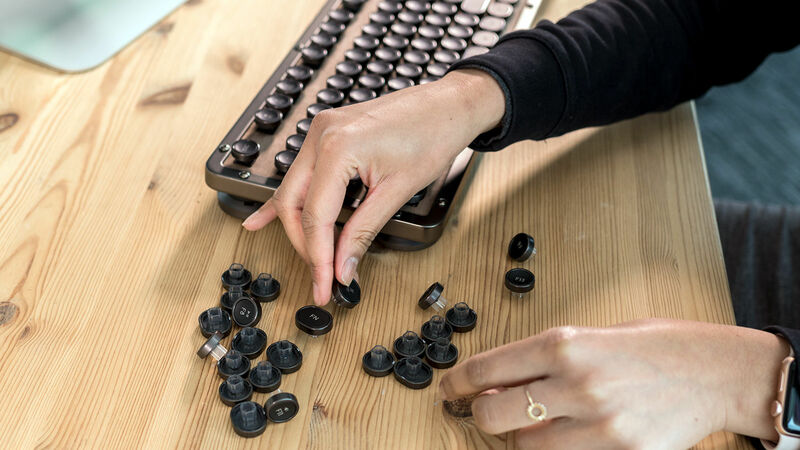 A traditional typewriter is a thing of ingenuity and beauty – and that's something the Azio Retro Classic keyboard keyboard wants to emulate. 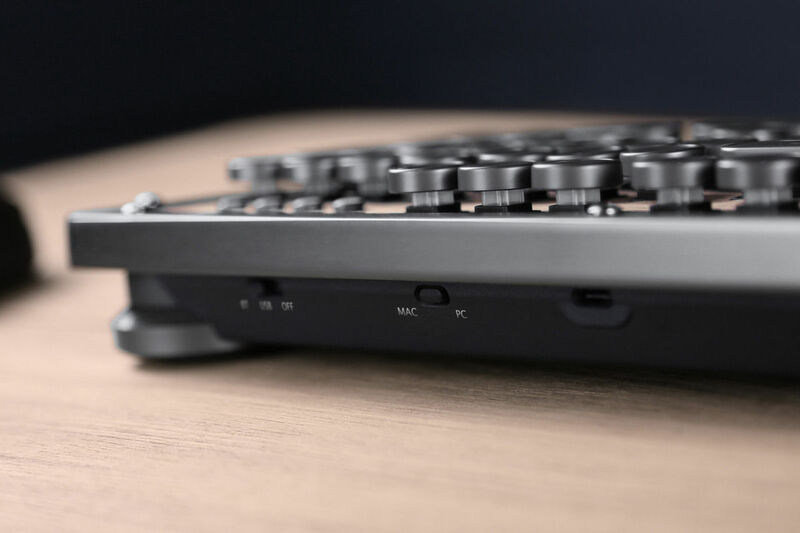 It's more than just the looks it's aping – this is a mechanical keyboard with a satisfying solidity to your keystrokes that give them weight – literally and metaphorically. When you type something or just hit a key command, it feels a lot more like you meant it that on your average keyboard. 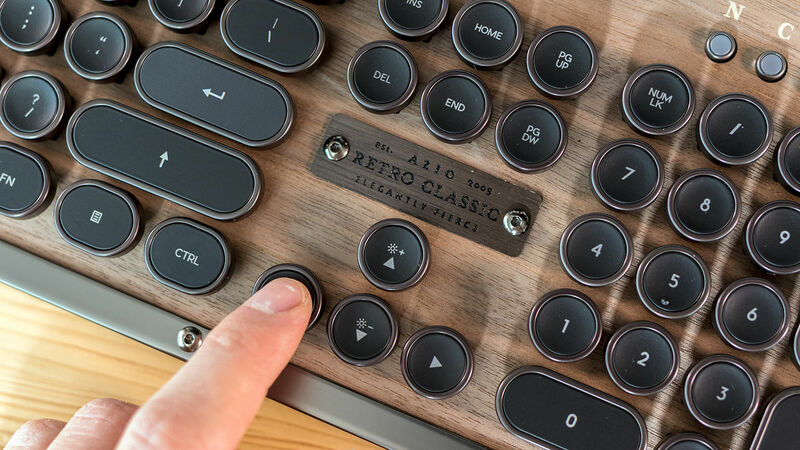 The Retro Classic keyboard combines modern technology with vintage good looks in a new line of luxury keyboards that offer the same type of circular keys you expect old hacks to be bashing away on. The first thing you’ll notice is the packaging. 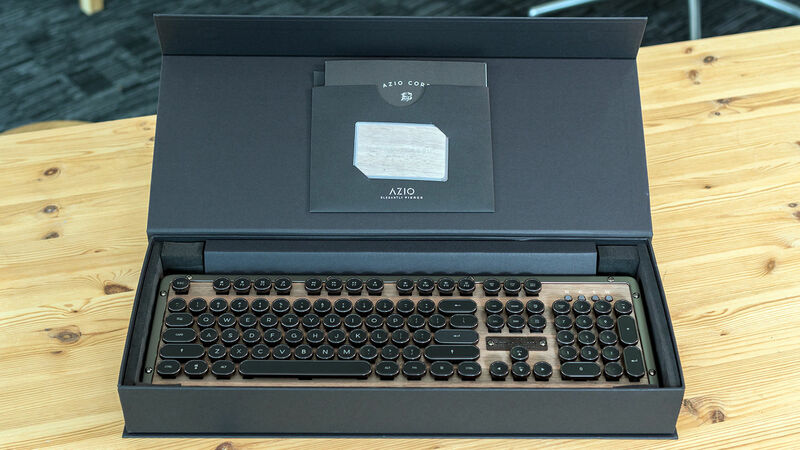 Azio has done a great job of presenting the keyboard when you open it up – making the around-£200/$200 price tags seem justified even before you plug in the keyboard. Next, you'll feel how solid this keyboard is, weighing in at a hefty 1.5kg/3.5 pounds thanks to a polished alloy frame. There’s a small brushed aluminium plaque bearing the model name coated in glossy lacquer paint, an impressive touch. This is one of the most handsome computer accessories we’ve ever used, featuring the kind of tactile, clicky mechanical keys we love. The keys are backlit, with LEDs centred under each key for uniform light across the board. There are four models: Artisan, Posh, Onyx, and Elwood (the model reviewed here). Each sport identical designs with bold colour themes brighter hues on the first two, genuine wood and leather for Elwood, while the all-black Onyx is the modern equivalent of my grandma’s old 1933 Royal Model 10-S.
You can get the Azio Retro Classic with a UK or US layout. It ships with a Windows layout, but includes Mac equivalents in the box. Simply pop off each PC key and swap them out, toggle a switch on back, and you’ve got a native Mac keyboard. The only thing that makes the experience a little less perfect is the lack of a dedicated equal key on the extended keypad. It did take me a few days to adjust to round keys again, but once I did, my typing experience was very satisfying. It’s worth noting the alloy frame is colder to the touch than plastic keyboards.